So much for the paperless office! The integration of information technology has seemingly increased the amount of paper printing we have to do. So pretty much everyone with a computer needs a printer at some point in time. The problem is figuring out which is the best printer for your budget AND workload. 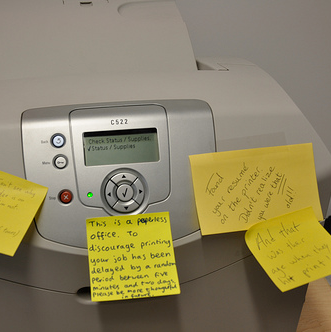 Laser, colour, inkjet, large format, photo quality, all-in-one, WiFi enabled, monochrome…there are a lot of jargon words around printers that confuse the issue of just getting what you need at the price you want. That’s what this article is here for – to help clarify and streamline the process for you. Let’s see if we can make the criteria for choosing a printer clear for ourselves. By identifying what factors we’re looking at and checking the printers attributes against that list, we’ll be better able to narrow down our search before we even begin searching. If we can do that, we save time and money by only having to compare maybe two or three printers. Save that money, you’re going to need it for ink. In this list the considerations are ordered by importance based on us being an average consumer. That is, someone with less than a six-figure salary and not a lot of time to do things like make a business case for one printer over another. The first item will be the most important criteria, the last item will be the least important criteria. Change the list around to fit your specific needs and wants, nonetheless this is a good starting point. Budget – How much can we afford? I’m going to be a miser here and say that you shouldn’t be financing a printer. Reliability – This ties into the budget, because there is a difference between a cheap printer and an inexpensive printer. The cheap printer ends up in the trash bin much quicker, thus costing you more in the end. Quality – Now I’m talking about the quality of the typical print job that you’re going do. Does it need to be high resolution because you’re a photographer or you do some desktop publishing? Or does it need to be just good enough to be able to be read and maybe do some crafty things with it? Quantity – Do you use it just once in a while or will you be printing flyers all day long? You might need to step up to something more industrial if the latter is the case. Colours or Black and White – This might not apply so much in the lower end printers, but if the quality of your print jobs needs to be high, you might save some money How To Keep Printing Costs As Low As Possible How To Keep Printing Costs As Low As Possible Let's get this straight - printing emails and documents is primeval! Not only does it cost money, it also wastes resources, storage space, and time. In fact, half of all pages printed are never used!... Read More if you only need a black and white printer (monochrome) over a colour printer. 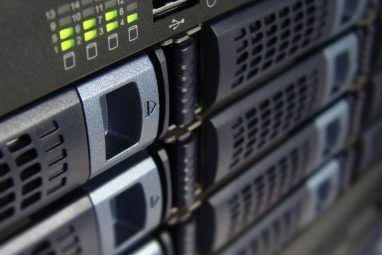 The initial expenditure might not be a whole lot less for monochrome, but the total cost of ownership (TCO) will be less than a colour printer. Remember – the ink is the thing! Format – What is the physical size of your average work-a-day print job? Letter size (8 1/2 in. x 11 in.) legal (8 1/2 in. x 14 in. ), or tabloid (11 in. x 17 in.)? Or maybe even bigger? Maybe you just like to print the snapshots you take with your smartphone or digital camera. 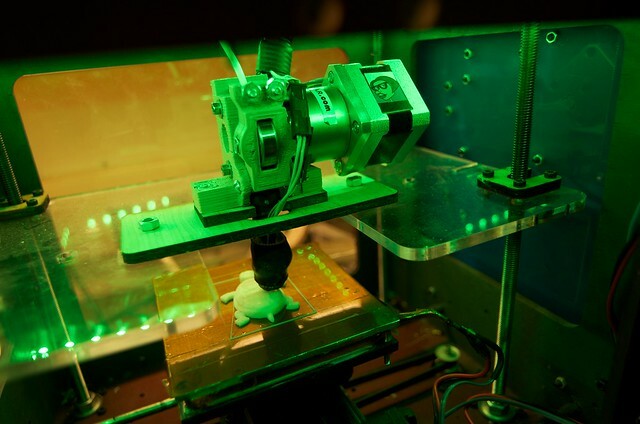 Even as we speak, 3D printing What Is 3D Printing And How Exactly Does It Work? What Is 3D Printing And How Exactly Does It Work? Imagine if you could print out three-dimensional objects straight from a printer in your home. When I was a kid in primary school, I thought it would be awesome if I could print pizzas out... Read More as a format is growing in popularity and affordability. Functions – Do you need to just print things, or will you need to scan or fax documents? Yes, faxing is still alive and well, believe it or not. Inkjet – The printer sprays little streams of ink, either coloured or shades of black and gray, onto the paper where it dries incredibly fast. If you can imagine the water coming out of your garden hose as ink, you can understand that this might be of lower quality than a laser printer. Laser – these printers use a laser to heat the toner that is then applied and affixed to the paper. Just as you might suspect, a laser is very accurate and results in sharper lines and images. Format – what the size of the printed item will be. Anything legal size (8 1/2 in. x 14 in.) or smaller is generally considered small format. Anything larger is large format. 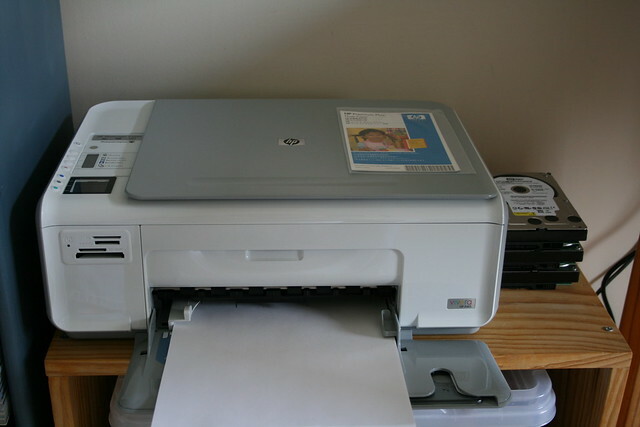 All-In-One – All-In-One printers often have the capability to be used as scanners, copiers, fax machines, and as printers. Snapshot Printer – printers that are designed specifically to print in colour on photographic quality paper, usually in the most common photograph sizes. Monochrome – Prints in shades of gray from white to black only. 3D printer – It can create 3D plastic models of things. Seriously cool. You can buy them ready made The 3D Printing Revolution Leaps Ever Closer to Consumer Level The 3D Printing Revolution Leaps Ever Closer to Consumer Level 3D printers have been a reality for some time now, but if we're honest the majority of them are - let's say - for hobbyists. Although it's very impressive and meta to say that one... Read More or make your own. Plotter – typically very large format and uses different colours to draw the design. Often used in map mapping and architectural work. 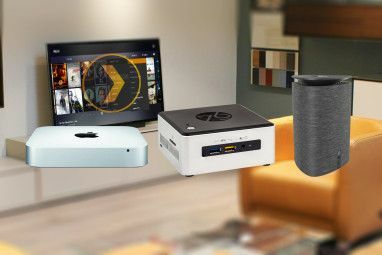 If you look for a small used one, you might get one for home use at a reasonable price. Compact – Small printers that might be used by people who travel for business. The can be as small as your laptop battery. Pricey, but possibly worth it if you’re a travelling printer. I’ve put together a chart that is by no means scientific, but should help you figure out what type of printer you might be looking for. Beyond that list of criteria, things start to get a little muddled as to what criterion is more important than another. By the time you’ve gone through that list, you’ve pretty much got it figured out as to which printer will suit your workload and budget. What’s your favourite type of printer? Do you find one type less expensive to run than another? If you could have any printer, what would your “best printer” be? 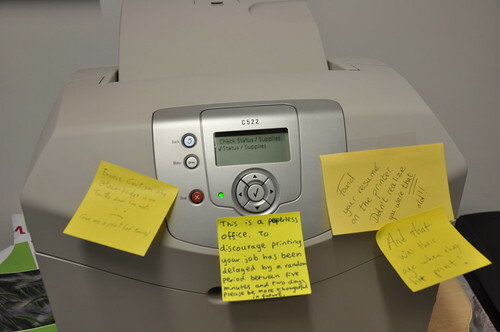 Let’s meet around the office printer and share our comments. These days I don't print much at all. When I do, for drafts I still use an Okidata dot matrix with pin feed paper (noisy, but it works fine), for better printing I use an HP ink jet all in one that is three years old. I say to get the cheapest you can find, unless you need to print a lot. "So much for the paperless office! The integration of information technology has seemingly increased the amount of paper printing we have to do." Government bureaucrats also have 7.5 hours a day to come up with new crap that businesses and people have to comply with as well. Most of it in the form of, well, forms. I think generally laser printer takes an upper hand over inkjet printer in terms of cost and budget. You should always have good research work done before you go ahead with the purchase so that you don't end messing up. could you suggest which comes comes cheaper for printing: inkjet or laser? I think the only people who could answer your question is those who've actually tried using both types of printers. Initial Outlay: Inkjet is cheaper up front. It's when you have to buy more ink that it gets costly. Total Cost of Ownership: Laser. The toner lasts a lot longer so your cost per sheet print is usually lower that with an inkjet. Something I didn't realize until after I wrote the article is that there are printers that are Google CloudPrint ready. If you're an Android or Chromebook owner, this is worth looking for. Usually doesn't cost any more since it is quickly becoming a standard. If Black & White is all you are going to be printing definitely go with the laser. Ink cartridges fro an inkjet will eat up your budget faster than you can blink. It is cheaper to keep buying inexpensive inkjet printers than it is to buy replacement ink cartridges for them. Deskjet era is over. Time for MFP's and laserjet's. New printers look beautiful, by the way. Thanks for this great article! You're very welcome! Yes, printers have come a long way since I bought my first one. It's best if you could actually test the printer itself before committing to make any purchase, when I purchase my laptop that's bundled with a nice set of packages including HP Deskjet Printer, the thing made horrible noises and wiring is a mess. So if you visit a store or a retailer, make sure how it functions and how much ink is required for the damn thing to run/ also the price for these inks. That's a very good idea. I haven't seen any retailers offer that yet, but it doesn't hurt to ask.